It’s only a teeny, mild secret that I play the Sims. I’ve been playing since Sim City and the original Sims since you were knee-high to a grasshopper. 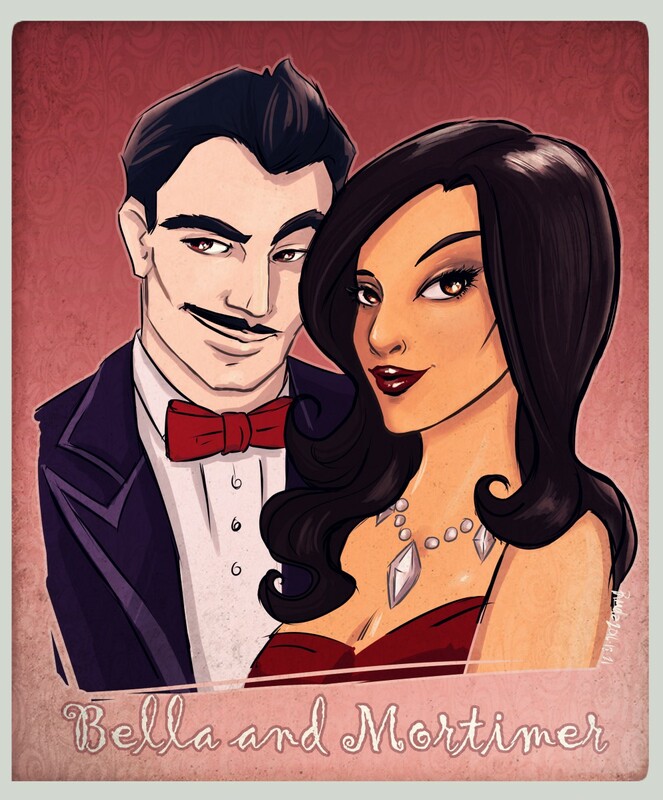 Bella and Mortimer Goth were always an iconic family for this game. There’s a version of them in every iteration of Sims games, and they’re always dark and glamourous. In my head, they are silver age Hollywood glamour so I drew them that way. It’s considered a 2 hour drawing because it took that long to draw and colour. Playing around with filters and making corrections to glaring things took another few hours. I’m not sure I’m completely happy with the end result (I never am), but throwing on some filters with Pixlr helped it along, and now it’s here.